Do you want to visit Capri or the Amalfi Coast from Sorrento? An unforgettable way to experience these beautiful coastlines is by booking a boat tour, especially if you are here between June and September when the area is hot and crowded. You can savor breathtaking views of the coast and drop anchor for a swim from your private boat. 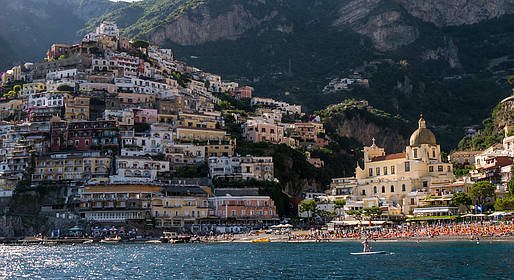 Once you have reached Capri, Positano or Amalfi, you can dock for a few hours and take a walk around the center of town. You can rent a boat privately for you and your family or friends either with or without a skipper, or join a group tour. Where should I rent or charter a boat? The main ports where there are boat rental companies are Sorrento, Piano di Sorrento, and Massa Lubrense. Do I need a boating license to rent a boat without a skipper? For boats with smaller engines (which include most types of boats available for rent in and near Sorrento), a boating license is not required. However, it's best to have had a bit of experience at sea before attempting to navigate by yourself. I want to take a boat tour to Capri but I don't want to share the boat with other passengers...but a private boat tour is too expensive! What are my options? You can take the public ferry to Capri and from there book a boat tour around the island. Prices for a private boat tour of Capri cost around EUR 140. How long in advance to I need to book a tour or boat rental? In the summer (July and August), you should reserve as far in advance as possible...especially for weekend dates. Otherwise, a few days ahead of time is enough. What are organized group tours? These are tours for small groups (usually 12) on board a traditional wooden "gozzo" boat with a sundeck and small cabin. The price of this tour is quoted per passenger, and these are usually the best choice for quality/price. You can dock to visit the coastal towns, and the price generally includes beverages and a sandwich. How long does the boat trip take between Sorrento and Capri? 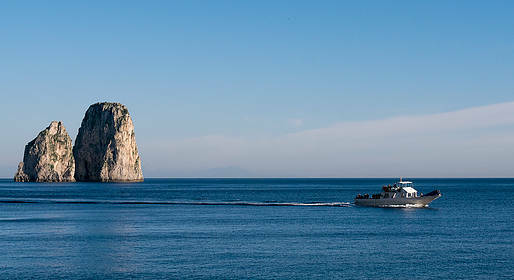 Is it more convenient to travel to Capri by public ferry or boat tour? In high season (from mid-June to the beginning of September), we recommend booking a boat tour to escape the heat and crowds. The cost of a day on Capri, including ferry tickets, a light lunch and a boat tour of the island, is about the same as a group boat tour.